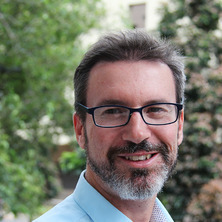 Steven Pratt is an Associate Professor in the School of Chemical Engineering at The University of Queensland, where he leads research on process development for sustainable waste management. His research focus is on utilising waste streams as feedstocks for the production of biomaterials and biofuels. The outcomes from these activities feed into broader biorefinery research programs, which aim for waste streams to be routinely utilised as feedstocks. He has authored over 50 scientific papers on related topics, with his major contribution to the field of environmental biotechnology being the invention of the TOGA® Sensor for examination and control of biotech/bioprocess systems. Widespread interest in TOGA® led to an agreement between Massey University and Scion for the commercialisation of the technology. He is also a Lecturer in Water Cycle Engineering with the International Water Centre (IWC), where he is program advisor for the IWC’s Masters of Integrated Water Management. Dr Pratt’s main research interest is utilisation of wastewater to support bioplastic and mass algal production. He is a CI on ARC funded research on both bioplastic production (in collaboration with NorskeSkog and Anoxkaldnes, a Veolia company) and algal processes (in collaboration with Origin Energy). A driving force for the work is that feedstocks for industrial biotechnology, whether they be carbon or nutrients, can represent major economic and environmental cost. Currently, the research focus is on using waste organic carbon as a feedstock for mixed culture PHA bioplastic production and waste inorganic carbon and nutrients to support mass algae growth. An important aspect of the work is developing pre-treatment technology so to enable the conversion of complex waste streams to readily bioavailable substrates. Dr Pratt has taught a variety of courses in process engineering, including Clean Technology and Environmental Biotechnology. He is currently coordinator of Process Principles, a cornerstone of the process engineering programs. He is Program Advisor for the International Water Centre’s Masters of Integrated Water Management. In that program he contributes to the delivery of the Science of Water and Urban Metabolism courses. Additionally, he teaches into the IWES Principles of Wastewater Treatment course, which has an intake of about 100 professionals each year. Steven has authored over 50 scientific papers on related topics, with his major contribution to the field of environmental biotechnology being the invention of the TOGA® Sensor for examination and control of biotech/bioprocess systems. Widespread interest in TOGA® led to an agreement between Massey University and Scion for the commercialisation of the technology. Pratt, S. and Yuan, Z. (2007) Quantification of the effect of CO2 transfer on titrimetric techniques used for the study of biological wastewater treatment processes. Water Sa, 33 1: 117-121. Shilton, A., Pratt, S., Drizo, A., Mahmood, B., Banker, S., Billings, L., Glenny, S. and Luo, D. (2005) ‘Active’ filters for upgrading phosphorus removal from pond systems. Water Science and Technology, 51 12: 111-116. Lu, Yang, Slater, F. R., Mohd-Zaki, Z., Pratt, S. and Batstone, D. J. (2010). Impact of operating history on mixed culture fermentation microbial ecology and product mixture. In: Adalberto Noyola, AD12: 12th World Congress on Anaerobic Digestion. Water and Energy for the World, Guadalajara, Jalisco, Mexico, (). 31 October - 4 November 2010. Powell, N., Shilton, A., Pratt, S., Chisti, Y. and Grigg, N. (2007). Factors affecting biological phosphorus removal in waste stabilisation ponds: statistical analysis. In: T. Koottatep and C. Polprasert, Selected Papers of the 7th IWA International Conference on Waste Stabilization Ponds. 7 th International IWA Conference on Waste Stabilisation Ponds, Bangkok, Thailand, (). 25th - 27th September 2006. Brian, K., Pratt, S., Gapes, D. and Shilton, A. (2007). Investigation into methanol as a carbon source for denitrification in wastewater treatment. In: 49th Annual Conference of the New-Zealand-Water-and-Waste-Association. New Zealand Water and Waste Association, Rotorua, New Zealand, (). 18-21 September 2007. Removal of manganese for drinking water by oxidation with potassium permanganate. Hintze, M. and Pratt, S. (2007). Removal of manganese for drinking water by oxidation with potassium permanganate.. In: New Zealand Water & Wastes Association, Rotorua, New Zealand, (). September 18-21, 2007. Powell, N., Shilton, A. N., Pratt, S. and Chisti, Y. (2006). Luxury uptake of phosphorus by microalgae in waste stabilisation ponds. In: Proceedings of the YRC06. 3rd Young Researchers Conference (YRC06), Nanyang Technological University, Singapore, (). 24th - 26th May 2006. Pratt, S., Zeng, R., Yuan, Z. and Keller, J. (2004). Comparison of methods for the determination of KLa02 for respirometric measurements. In: G. Langergraber and R. Haberl, Water Science And Technology. Proceedings of the 2nd International Conference on Automation in Water Quality Monitoring. 2nd International Conference on Automation in Water Quality Monitoring, Vienna, Austria, (153-161). 19-20 April 2004. Yuan, Z., Pratt, S., Zeng, R. and Keller, J. (2004). Modelling aerobic carbon oxidation and storage by integrating respirometric, titrimetric and off-gas CO2 measurements. In: Proceedings of the 6th International Symposium on systems Analysis and Integrated Assessment in Water Management. 6th International Symposium on systems Analysis and Integrated Assessment in Water Management, Beijing, China, (). 3rd- 5th November, 2004. Pratt, S., Gapes, D., Yuan, Z. and Keller, J. (2004). The rate of nitrate production during a two-stage nitrification batch reaction. In: S. J. Hall, C. Fux and J. Keller, Water, Science and Technology. Sequencing Batch Reactor Technology III : Selected Proceedings of the IWA International Specialised Conference on Sequencing Batch Reactor Technology. 3rd IWA Specialised Conference on Sequencing Batch Reactor Technology (SBR3), Noosa, Australia, (81-87). 22-26 February 2004. Characterising biological processes using a titration and off-gas analysis sensor. Pratt, S., Yuan, Z. and Keller, J. (2003). Characterising biological processes using a titration and off-gas analysis sensor.. In: International Water Association, Proceedings of: IWA Conference on Environmental Biotechnology: Advancement on Water and Wastewater Applications in the Tropics. IWA Conference on Environmental Biotechnology: Advancement on Water and Wastewater Applications in the Tropics, Kuala Lumpur, Malaysia, (1-9). 9-10 December 2003. Determination of the rates of ammonia oxidation and nitrte production using titrimetric and off-gas analysis (TOGA) data. Pratt, S. and Yuan, Z. (2003). Determination of the rates of ammonia oxidation and nitrte production using titrimetric and off-gas analysis (TOGA) data.. In: New Zealand Waste and Water Association, EnvironNZ03. New Zealand Wastewater Association Annual Conference, Auckland, (1-10). 17-19 September 2003. Pratt, S., Yuan, Z. and Keller, J. (2003). Improving titrimetric techniques by modelling pH change in activated sludge systems. In: IWA Programme Committee, Water Science And Technology. 3rd World Water Congress: Biological Treatment Processes (Selected Proceedings of the 3rd World Water Congress of the International Water Association). 3rd World Water Congress of the International-Water-Association, Melbourne, Australia, (259-265). 7-12 April, 2002. Pratt, S., Yuan, Z. and Keller, J. (2001). Model-based data analysis activated SL systems: A case study with a titrimetric respirometer. In: S.Wood, Environmental Engineering Event 2001. Environmental Engineering Event 2001, Noosa, Queensland, (). 20/11/2001 - 23/11/2001. Pratt, S., Yuan, Z. and Keller, J. (2000). Development of the H-Doc Biosensor for Characterisation of Activated Sludge Kinetics and Wastewater Composition. In: Proceedings of 4th Annual Australian Environmental Engineering Research Event. 4th Annual Australian Environmental Engineering Research Event, Victor Harbor, South Australia, Australia, (). 21-24 November,1999. Pratt, Steven (2003). The development of the TOGA sensor for the study of biological wastewater treatment systems PhD Thesis, School of Engineering, The University of Queensland.